A product of the highest quality and more comfortable for a dentist to work with. Dental Mirror with two equivalent rhodium front surface mirrors. 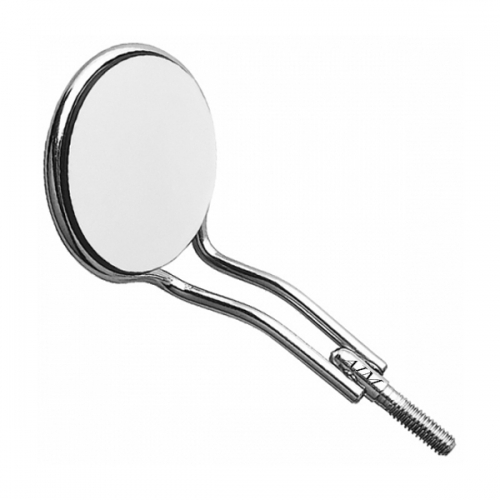 Whether for professional cleaning or in implantology, these mirrors are ideal for any application in the dental practice. The anatomical shape of the mirror enjoying your patients more comfortable. Mouth mirrors and cheek / tongue holder in one. When using this as a mirror cheeks holder you have the opportunity to reflect on the back reflects the light to the treatment site. Rhodium Front Surface, also resistant to acidic solutions such as Neodisher N.